As we continued our travels in Italy, we left Florence this morning and made a lunch stop at Bologna where we saw a statue of the Roman Sea-god Neptune at the square. 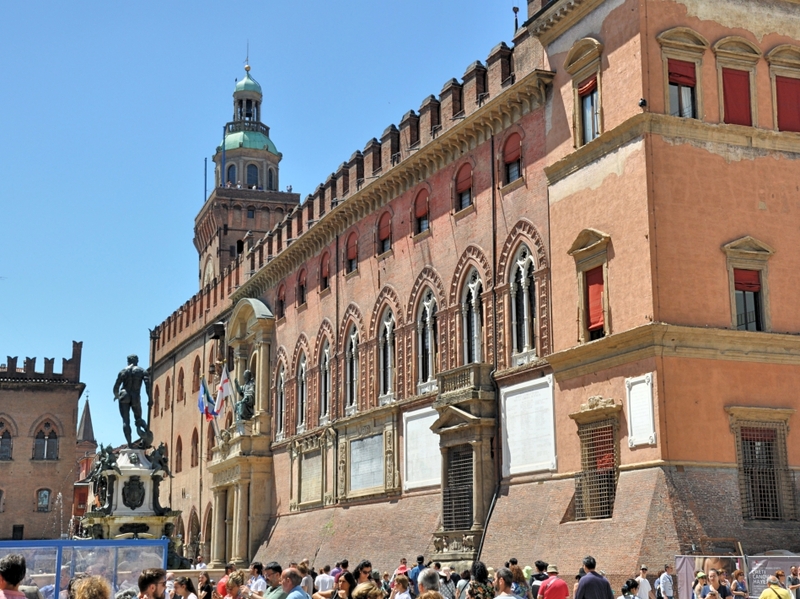 Portion of city square at Bologna, Italy. Sea-god Neptune is seen at far left center. Photo by Leon Mauldin. As we traveled north we crossed the Po River. The terrain had changed as we left the hills and saw flat, very fertile, farmland. Po River. Photo by Leon Mauldin. We reached our destiny of Trieste by late afternoon. Tomorrow our group is meeting with a congregation made up of Christians, many of whom have ties and connections with the folks on our tour. Gianni Berdine is the local evangelist here in Trieste. Several of us went for a walk after dinner. Trieste Square. Photo by Leon Mauldin. 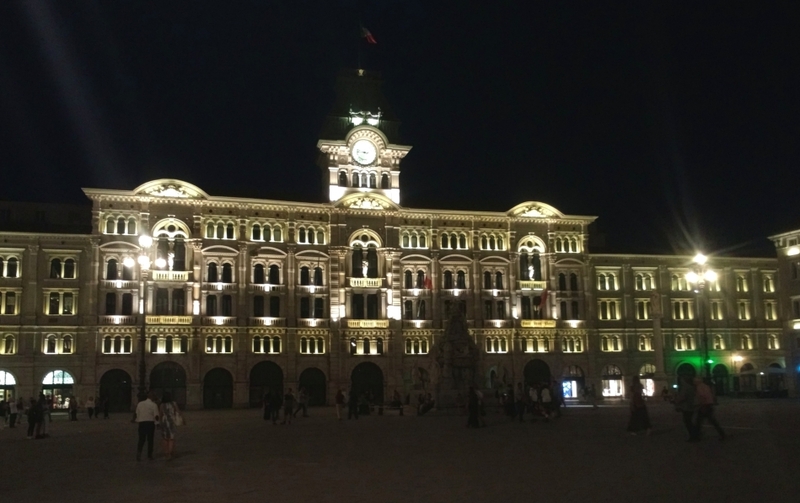 Trieste is located in the extreme northwest of Italy, on the Adriatic Sea, and borders Slovenia. This is one of the great Piazzas of Italy.